The marine riser forms a continuation of the well bore from the top of the blowout preventer stack to the drilling vessel. The subsea well is drilled through the marine riser allowing the mud to circulate back to the mobile drilling unit. In addition to diverter systems, riser joints, telescopic joints and FlexJoint™ connectors, all marine drilling risers contain high-pressure choke and kill lines, booster lines , hydraulic and glycol lines. Oil States provides a cost-effective, reliable, fast deployment with fast makeup, high-performance connection systems and accelerated delivery schedule. We are a proven provider of riser components and now provide complete riser packages. 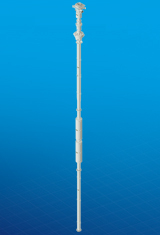 See Merlin™ Marine Drilling Riser (MMDR) animation here. See Drop-down Bridle animation here. See Pull-up Bridle animation here. 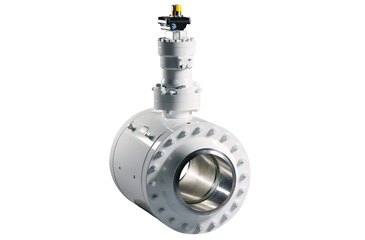 Developed to form part of the system in connecting the drill floor to the subsea wellhead. The subsea well is drilled through these risers, allowing the drilling mud to circulate back up to the rig.